Because the Ōpārara cave system has so many openings, large birds have wandered in, perhaps to shelter, or have fallen in. 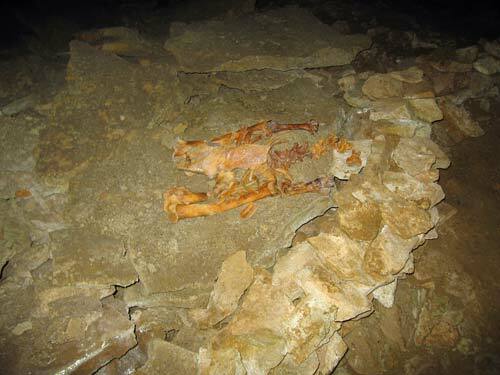 The caves have acted as a graveyard, and contain the skeletons of moa and other animals, some of which became extinct soon after the arrival of humans in New Zealand. This is the skeleton of a little bush moa.